When I shared my tips for a reader looking to downsize her closet and asked for additional suggestions, I never imagined I would get so many wonderful comments from all of you. I was so impressed with the quality of the recommendations given that I decided to share many of them in this follow up post. I know that many subscribers don’t read the comments on my posts, but they are often equally as helpful as what I write. In this case, I would venture to say that the suggestions in the comments may be more beneficial than the tips I offered. Do you struggle with deciding what to cull and what to keep? I didn’t include all of the comments and I edited some of the ones herein for the sake of clarity or brevity. I didn’t want this to be too much of a marathon post. I have given credit to the person who made each comment. I hope that those of you who are looking to downsize your wardrobe will find these additional tips as useful as I did. If you have anything to add, please feel free to do so. Tip the contents of your entire wardrobe, including shoes, out onto your bed. This is a good time to give your wardrobe a detailed vacuum and clean on the inside. Quickly separate anything that is totally out of season that you will not wear right now (e.g. woolly sweaters when it is high summer). Anything that you layer and wear trans-seasonally can stay. We are only dealing with the no-brainers here. Later you are going to lovingly pack away this pile of out-of-season stuff in a box or drawer. Now is not the time to cull it. You will make better decisions in the appropriate season. As you go, pull out anything that is torn, tatty, stained, or otherwise obviously past its best, or which needs repair. Chuck out the first lot and put the rest in the hall or your car to take to the tailor or the shoe repair shop. Put the remainder in rough piles: pants, dresses, skirts, tops, etc. Now you are going to try everything on in its category for fit. The objective is not to decide whether you look good in it or you love it, just whether it fits you or not right now. This is the important bit: Only things that fit you are allowed to go back into your closet. Too small? Too tight? Gapes? Flops? Never fit right? All this ill-fitting stuff has to find a new home. You can keep it or you can donate it, but it is not allowed into your working wardrobe. If you are like most women, culling by season, fit, and condition will radically reduce the number of clothes in your closet. This is your core working wardrobe. Every piece in it should be theoretically wearable right now to walk out the door. This simplifies decisions a lot. Once you have done this you will be able to see the gaps and duplications in your collection and assess which pieces you can’t do without, need more of, or which you can let go of. If you are planning on having a baby, your body and wardrobe is going to go through a lot of changes. You will have early pregnancy and late pregnancy clothes, breastfeeding clothes, stay-at-home-mum clothes, back to work clothes, and all the rest. Your changing body and lifestyle will be a great discipline to keep your working wardrobe small, flexible, up to date with where you’re at and working hard! Functional is freeing! At the same time, you have to allow for the fact that you may want to return to some of your pre-pregnancy clothes, like your investment pieces for work. My advice is don’t make all the decisions to purge at once. As with the seasonal wear (the ski boots and mufflers), best address them in the season. Pack your smart work things away when you leave work to have your baby and bring them out when it is their season again. It will become clear to you at that point what to keep and what to let go of. For me, the important lesson I have learned is that my wardrobe need not be tiny and restricted to 33 things (or any other number), but that it should have ‘chi’ or flow; it should not be stuck in the past or stagnant. It should be refreshed to reflect the seasons and according to fluctuations in our lives and bodies. It should be current – for who you are right now. The most important and the hardest point for me was to clarify what I wanted to achieve with my wardrobe. You are so right Debbie, many of us think that we want to be minimalists, but it took a lot of research and soul-searching to come to the point where I am right now. I want to have a curated wardrobe and enjoy the process and the outcome. I want to look forward to wearing a certain outfit and have fun with different ideas rather than feeling depressed and guilty about the excess of things and wasting money. I accepted that a minimalist wardrobe is not for me. I enjoy beautiful things and that includes paintings, music, design, nature, and clothes and accessories. I also enjoyed giving away some of my beautiful things to friends who appreciate them, like some designer pieces I acquired because I had a strong “need” to own some, even if they were not right for me. Because I have limited storage space, I do a wardrobe change-over twice a year. Over the years, I have found this a great help in keeping my wardrobe small. Some things you will still love when you get them out again, but others will have you shaking your head wondering why you kept them. With clothing, absence doesn’t always make the heart grow fonder. I think doing a stint of P333 or similar wardrobe challenge can definitely give you confidence that you don’t need as much as you think. I think that for a lot of us, a fear of scarcity has us holding on to stuff that we know we should let go. For me, the last piece of the puzzle was reading Marie Kondo’s book. Take everything out and handle it. Then decide what to keep, not what to get rid of. The difference is subtle but powerful. When I first started reading your blog in April 2013, I had decided to cull my wardrobe after my best friend collapsed in laughter when she saw my closet, and then a few weeks later the actual rods collapsed from the weight of the clothes. At that time, I had 579 garments. It has taken me over two years, but now I have less than 150 total. Today, I can’t even remember half of the garments I got rid of in the culling process. 579 garments seems incomprehensible to me now. I had too many colors in my wardrobe, some of which I never wore because they really weren’t flattering. I used the David Zyla technique to identify my best colors and made a visual chart of them. Then I went through and culled out things that were the wrong color regardless of the style. I realized that I always felt “off” when I was wearing unflattering colors, so why wear them period? Next, I grouped together garments that were the same color for the purpose of comparing style. I discovered that I had redundant garments. I was able to cull through and pick out the ones that I wore, and earmark the rest for consignment or donation. Of the pieces that I wore, I then evaluated them for currency of style. If something looked old, but I liked the way it worked for me functionally–then I set about to find its modern replacement. Some of my clothes at this time were about 7 years old, and the silhouettes/styles were dated, even if the clothes themselves were in good condition. Lastly, after a garment made it through the previous culling steps, it had to be evaluated as to whether it really looked good on me. I saved this step for last because it seemed the most efficient way. The funny thing is, you think your clothes look good on you–until you really start analyzing yourself in the mirror critically. This is the point at which the last few hangers-on bit the dust. Then I set about creating a cohesive wardrobe. I analyzed my body type with much more detail than I’d ever done before. I went shopping with my color chart. I found stores that carried clothing in the colors of my chart with a style vibe I like (and I have to say Ann Taylor Loft is my favorite for fit and innovative color/style). While I didn’t keep charts, I visually and fit analyze every piece that newly comes into my closet. I still shop, though not as much. I’ve come to find out that more garments are multi-seasonal than I used to assume. This is largely due to the types of fabrics being used now. While I don’t think I could ever have a 365-day wardrobe entirely, I have made great strides in selecting clothes that work in all seasons. Now when I shop, I tend to know beforehand what I am shopping FOR, rather than in the past when I shopped for the sport. I would add that it’s okay to become a minimalist slowly. I started trying to cull my wardrobe in 2012 and am still going. Sometimes I feel like I have been the world’s slowest wardrobe purger, but I had a lot of anxiety and difficulties letting things go. I am so very close to where I wanted to be, but even now I see that I could still go further as far as reducing my wardrobe. I did it in stages, although it didn’t seem that organized at the time. First, the “fat” clothes from when I was a size bigger. Then the clothes that were two sizes too small. I figured by the time I lost that weight (if ever), those clothes would not be ones I would want to wear anyway, and I would want to buy newer, trendier things. Then slowly worked on the “fussy” clothes/shoes and those that were a bit small. Now I’m working on getting rid of things that I don’t love. During all that time, I also worked on what I wore to work and at home. I used to have very formal clothes for work, and very casual/sloppy clothes for home and the weekends. I have gradually merged my clothing so that I wear less formal clothing at work that can also be worn at home. Of course, I don’t wear sweatpants to work, but I try to look for clothing and footwear that is multifunctional. Nobody at work has commented on me getting a smidge more casual. Plus, my family and boyfriend like that I am a smidge more dressed up on the weekends. Win, win. I echo the recommendations that culling the wardrobe shouldn’t be done in one go, as you may end up regretting getting rid of something you later wished you’d kept, or keeping things you don’t actually like. I want to add what I think may be a new idea. It started when I got a compliment on a top I was wearing. I thought about the difference between how we think we look versus how others think we look. We may not realize a piece of clothing is super flattering on us to other people. And isn’t part of getting dressed for them, too? As much as I dress for myself in what I like, at work I have to portray a certain role. So now when I get a compliment on a piece of clothing or accessory, I put it to the front of my closet so I can wear it more. And once I had a few items that had been complimented on, I looked them over and it helped me realize what colors and styles of clothing look best on me. Now I have an area for my most-loved pieces and you’d be amazed how easy it is to pare down the rest of your wardrobe once you have the best items set aside. I am currently wearing the same 14 outfits for the rest of the summer season. Not only has no one noticed the repetition, I in fact get compliments all the time now and it feels good when that happens. Just to sum it up, it’s not that I want anyone to dress for other people and lose themselves. But compliments can help show you what looks great on you that you already have in your closet! Do You Like Options or Prefer Procedures? In my opinion, minimalism sounds great on paper. Looking at people’s blogs and images of pristine closets online is great eye candy and all, but that doesn’t mean that minimalism is necessarily going to work better for you or make you any happier. I think minimalism is great for people who really don’t enjoy dressing up every day and/or don’t really care to think about – or have the energy to think about – their image or style. They just want to dress competently, project the image that they want to project, and leave the house to get their day started. Others really want the creative freedom to dress every day and use clothing as a creative outlet and a fun way to express themselves. The creative process brings them joy, not necessarily the clothing (although that can be a part of the joy). There’s nothing wrong with having beautiful things that you enjoy and get use out of. This may require having more clothing options than those that like the more minimalist approach. I would store the clothes away, especially if you will be going to go through some major life changes soon. Your outlook and perspective will change, so I would store everything and get back to it later. Best thing is to do a major closet cleaning, perhaps even a house cleaning. Get everything nice and organized and perhaps the desire to become more minimalist will change. The “hidden holding zone” has worked well for me as a way of overcoming the fear of getting rid of something that I actually want/need. I think that if you aren’t ready to just get rid of things in one fell swoop (and there may be sound reasons not to take that tack), you have to accept that the process is going to be a little messy, and that’s totally ok. The thing that has helped me most of all in overcoming a “fear of scarcity” has been wardrobe tracking. Writing down what I wear each day has really brought home the fact that we have a limited number of opportunities to wear things, and it doesn’t take as many items as I thought to create the sense of variety that I crave. I use a spreadsheet for wardrobe tracking, so when I’ve debated keeping/donating some of those “on the bubble” items, I’ve been able to go back and look at how I’ve actually worn them. Often I see that I always wore the item in the same way, or I wore it in outfits that I am not eager to wear again, or I could easily substitute a more favored item and create pretty much the same look. 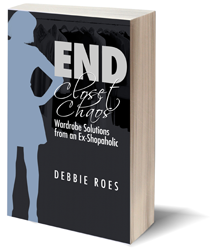 I have issues with keeping too few things in my closet and read Debbie’s blog because the same discussions that help over-shoppers can assist under-shoppers as well. So I would just advise being careful and going slowly since purging can release similar endorphins as shopping and create false feelings of being in control. Of course, you may have so much that some purging is warranted and will create better flow in your life. I would also look into your reasons behind your aspiring closet minimalism. If it is to make getting dressed easier, then having extra items in storage to fill in gaps as things wear out is perfectly valid. If it is to have a smaller environmental footprint, then I would suggest the same. Store clothing that is extra until needed. And if this is part of a greater season of transition, then I would go slowly and box up clothing in lifestyle categories and only keep what works best currently in your closet. And while Debbie has lots of people giving her feedback on her closet due to her blog, thank goodness there is no one keeping score in most of our real lives. In other words, don’t worry too much about being “clean” as a minimalist since it’s a sliding scale anyway and the rewards are internal when you find your closet set point. For anyone who considers herself an aspiring minimalist (who wants to own less but finds herself with a closet full of items that she either likes or loves), clearly it’s going to take a bit of time in order to begin to decide which clothes to keep. Pregnancy, along with the first couple of months after giving birth, offers an ideal opportunity to do Project 333 and begin to decide if a minimal sized wardrobe, or a minimal inspired lifestyle, is the end goal. Give yourself the freedom to explore without any rigid and hard rules. My wardrobe is on the small side, and over the past few years, I’ve also reduced the amount of items owned and stored within my home. Yet for me, it’s all about wanting to have everything fit comfortably within my closet and existing space in my house and garage. I don’t like living in an environment that is filled to the brim with things I seldom use, or never use, because then it feels to me there isn’t any ‘chi’ and flow. I consider myself to be minimal(ish) or moderately minimal, and I use the term loosely, with plenty of wiggle room. Because of the crap quality of clothes in stores these days, I have become a minimalist, unintentionally. I love and wear everything in my closet for years and years, but if I want to buy something new, it has to be a natural fabric. Cotton, linen, silk, or wool – at least 70% of the fabric has to be a natural fibre. And it has to be in my very tight deep winter palette – white, grey, black, light blue, navy, burgundy, plum, red, maybe purple. No polyester, rayon, viscose, or whatever else it is they have out there. Plus, I’m a petite small frame and pants are often too long/loose. That means I can’t buy 95% of the items in the stores. With the remaining 5%, all I ask is “Will it fit?” Next is “Can I afford it?” If the answer to both is yes, I will buy multiples and wear them for a long time, until they are torn or stained. I have to look online or in thrift/consignment stores, and that ensures that I take good care of what I have. Every year, I replace a couple of lounge-wear items like t-shirts. And I’ve discovered that I love white. 70% of my tops are white. It suits me, plus they don’t fade and the main reason I have to get rid of cotton clothes is fading. Whites are easier to keep clean too. Google “Dawn dish soap + hydrogen peroxide.” It takes out every stain you can imagine and my whites stay white with my DIY detergent. I’d rather pay $50 for a dinner than a top. So that makes me a minimalist, not by choice, but in the way I function. A few years ago, I had a major career change from full-time “power” executive (with matching suits) to part-time consulting and “semi-retired” work (gets me out of the house). I went through a significant cull and still use the same techniques to keep my current wardrobe fresh and in good repair. First I started by further limiting my already limited color palette (I have a modified “winter” color palette, and I eliminated some colors that were “fun” but not essential to a well-coordinated wardrobe.) I also refined my wardrobe stylistically from “executive” to “creative” and business-like. Good-bye matchy-matchy suits, hello skirts/pants/”soft” jackets and cardis. Good-bye more “formal” shoes, purse, briefcase, and stuff like that. Interestingly enough, I had very little to cull from this round as most of my clothes were “classically feminine” and thus moved easily to a somewhat less formal work-a-day world. I also got rid of nearly everything that could be a “multiple” (with a few exceptions — more than one pair of black pants, more than white blouse). A lot of my clothing pieces can stretch over more than one season (and were bought to do so). I have a few “hot and humid” clothes that appear in the summer and a few “cold and blustery” clothes that appear in the depths of winter. 80% of more of my clothing gets worn year-round — and it was purchased with the goal that it would do so. I also asked myself, “Would you grab this is you had 10 minutes to pack a bag and evacuate for a fire or __________ [fill in natural disaster].“ Boy, you can really make decisions about clothing really fast using this test. I found that, except for a few basic things (undies, sturdy shoes, a few changes of clothing), I would chose to save lots of stuff instead my clothes. Basics (good pants and skirts, good tops/jackets/sweaters, and so on). I call this “Tier 1” and for me, these are all high-quality solid color items that I am willing to spend some serious coin on. In this tier, all my clothes are black or charcoal gray. Then create a secondary group of clothes that augment and coordinate with the first group (Tier 2). For me, this is where a lot of my classic patterned (stripes, polka dots, checks, animal print, etc.) clothes go, as well additional colors like red, blue, white, and so on. I still look for quality in this tier, but I tend to also look for bargains and well-priced clothing. Expensive jewelry and other accessories goes in Tier 1 or 2. This means that these items have to be “classics” and their shelf-life will extend over many years or even decades. Finally, Tier 3 includes accessories, fashion-forward clothes, and patterned clothes that seem too trendy for Tier 2. I generally spend the least amount of money for individual items in this tier. Tier 3 clothes get replaced a bit more frequently than the other tiers, but I do a periodic “style” check for all 3 tiers because even “classic” clothing can become dated and/or worn-out looking. Reading the summary of the question, I feel that the reader has all the reasons to keep her clothes. She either likes or loves them, they are in good shape and may be hard to replace in the future, and she will be getting pregnant and potentially won’t be able to afford good quality business clothes after stop working for a while. She has no good reason for culling other than “aspiring minimalism.” You need to have better reasons than just that to purge your clothes. Like some others above, I live in a 4-season climate, and find that culling seasonally is the best approach for me. I’ve developed a very simple method. At the start of each season, I do a re-shuffle, taking out things that have been tucked away and storing away others. Everything is in one wardrobe (closet), but some things are more difficult to reach than others (e.g. on high shelves or hung inside winter coats). This entry was posted in Minimalism, Wardrobe Management. Bookmark the permalink. Thanks for this post Debbie – I did read the comments but it’s really helpful to have them all in one post. I aspire to a curated wardrobe and feel like I have too much stuff, in general. Over the past few years (which coincides with Debbie’s journey), I now review everything before I put items away & transfer to the next season. I also make a list of what I may need to replace, or what might work better so I already have a shopping list of sorts before that season comes around again. I aim for 3 seasons of wear for most items – both in fabric and color. I also try to find items that I can wear to work, and also at home. It makes shopping more challenging for sure! At least twice a year I try to go through my entire closet. I remove items which are outdated, don’t fit or just aren’t “me”. If I’m unsure, they go into a purgatory of sorts. I’ve found that by the time that season comes again, I’ve made a decision and am ready to let the item go or in rare cases, have brought it back into my closet & have worn it. So far, I’ve had no regrets about anything I let go. I think the key is to be flexible and find what works for you and not feel an obligation to limit yourself to a certain number of items. My goal is to have less for sure, but to have the right items for me and my life so I don’t stand in my closet unable to make a decision about what to wear. Thanks so much for sharing your process, Lisa. I think it’s great that having the clothing “purgatory” allows you to easily make a decision for what to keep and what to let go of. I have had a similar experience myself. Being flexible is really important, as there really is no one right number of clothes to own. Our perception will change over time and as our life shifts, too. Your goal of being able to stand in your closet and easily decide what to wear is one that I share. I’m happy to say that it’s getting easier and easier over time! I agree with the thought that if you really like all your clothes and they all fit there is no big hurry to purge just for the sake of purging. I’ve always quipped that there is no closet police coming in to count our items. On some level this is a game we create for ourselves. If you have the space and are not overwhelmed, relax a bit about it. Also agree that fit is first and foremost. The most beautifully cut designer item doesn’t matter if it doesn’t fit YOU. An Old Navy $10 special is better if it actually fits your shape and size. I often find this is the case, ironically. Gap/Old Navy size 4 is practically tailor made for my figure. Go figure – hee hee. My other thought would be to not judge items for purging in isolation. Something may not wow you on it’s own, or even styled with the wrong item, but can be great in the right ensemble. This isn’t to say you should struggle to ‘make’ every item work but that, for instance, putting on one pair of jeans and then trying on every top you own with them isn’t the best way to judge those tops, ya know? My last thought is truly think on how often you need to wear any categories of clothing. Home wear, office, workout, travel, special occasion. Having 20 workout outfits if you only take one yoga class a week or go for a Saturday morning run isn’t logical. Sometimes we buy what we like more than what we need. In 2008 I retired from my job, remarried after a divorce and moved to another part of the country. It took me almost 3 years just to cull through and downsize all my clothes from a life in San Francisco where I had both a career and a very active social life. Given that I now live in the country on a ranch, this was no small feat. That said, I subsequently over bought casual clothing, etc. for my new life that I’m now in the process of downsizing as well. 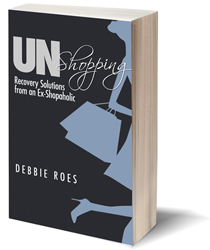 Debbie’s website has been a wonderful guide for doing so and also such an encouragement to stay on track with my recovery from being a shopaholic. I’ve found the words “does it sing to you” helpful in my deciding whether or not I keep certain pieces in my wardrobe. There are lots of “off key” (pun intended) pieces that I have let go of based on that criteria. I do this in two stages — first, by just looking at the piece and asking myself that question, and then second, by trying it on which usually resolves any lingering doubts and makes it easy to let the piece go. If at first glance or when I try the piece on it doesn’t immediately elicit an “oh I just love this!”, I let the item go. I’m not completely there yet with my ideal wardrobe size but it’s moving in the right direction. My castoffs either go to my step-daughter and her friends who make good use of my pieces in both their careers and social lives or to consignment or donation. It’s a journey and I’ve learned so much from it including the courage to face my tendency to just want more new and shiny things that I know that I don’t really need. Thanks to everyone for all your thoughtful comments; it’s so nice to be a part of such a wonderful community. Thank you for sharing about your journey and process, Denise. I’m glad my blog has been helpful to you along the way. 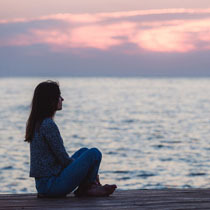 I love the question, “Do it sing to you?” This is kind of like Marie Kondo’s, “Do it spark joy?” When I did the KonMari process, I often took the second step of trying things on, as some things may spark joy on the hanger but not on my body – or vice versa. Congratulations on your amazing progress and your new life adventure. The idea of living in the country on a ranch sounds very appealing to me sometimes. I love the idea of a simpler life, but I still struggle with the desire for the “shiny and new,” too. But over time, we are both figuring it out. Best wishes to you! Special thanks to Debbie for creation and maintenance of this wonderful blog. Like Denise, I am happy to be part of the exchange. I noticed there are two of us signing in as Helen. I have tried to modify my name here, but am not savvy enough to make it work. This is minimalist Helen here, who had a decluttering blitz about 9 years ago and misses it, and is fascinated by the causes, the difficulties, and especially the successes of the wardrobe warriors. Thanks to every contributor; Debbie, it’s such a healthy and positive pursuit. I know there are two Helens, so thanks for letting us know which one you are. I’m very happy that minimalists follow my blog, as well as shopaholics. I love to get perspectives from people in all sorts of situations. I agree that being a “wardrobe warrior” (love that characterization and may use it in a future post) is a worthwhile pursuit! Debbie, many thanks for the blog and this post. I do read the comments, but can’t remember later what post they came under, so it really helpful to have them rounded up under a searchable heading. Loved reading everybody’s suggestions and varying approaches. I’m glad you liked this comment round-up post, Alice. I think it’s worthwhile for me to do these types of posts occasionally when the comments are especially good and it’s on a topic that people often search on or want to refer back to. I’m sure I will be referring back to this post myself! It’s interesting to read this blog and all of the comments/ideas/lessons learned. My take-away is that building a useful, well-coordinated wardrobe (items work together in numerous ways) is a thoughtful, on-going process requires the wardrobe-owner to be mindful about what she wants from her clothing for her lifestyle, personal needs, budget, body type, and so forth. “Fashion” is mass-produced; style is something that each person creates for her own unique situation. When I read the reader’s question and concerns, I was struck by how she was looking for absolutely perfect number of items for a minimalist wardrobe. Similarly, women shop and shop searching for the absolutely perfect wardrobe. The issue seems to be the same, i.e. our need for a state of “perfection”. As your readers commented, wardrobe editing (possibly to the point of “minimalism”) is a process of self-reflection with many steps. Over time, my wardrobe may better reflect my personality and lifestyle, but the process is ongoing, never perfect. Our need for a mythical state of perfection must be questioned, whether we are compulsively shopping or striving for a minimalist wardrobe. I think your advice is great. I would just add that when going through major life changes, in my case retirement, to go slowly as well. Just because you are not working does not mean your previous work clothing will no longer work. You may be able to re-style into your new life once you figure out what that is. It does take time and I suspect this is true of many of life’s major changes.